Expansion of the team to two full-time employees. The team now comprises 11 employees. 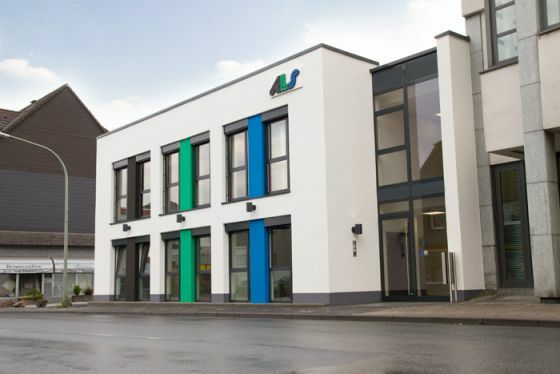 Relocation to the new company building in Heinrich-Lübke-Straße in Hüsten. An important step for the future of ALS. On top of that, ALS employs a new dispatcher and a new apprentice. Increase to 60 employees in the Transcoop09 forwarding cooperation. The growth enabled developing new markets in project-oriented business. Start of construction of a new, modern office building tailored to the specific requirements of A.L.S with planned completion in August / September 2010. ALS is one of 13 founding members of the Transcoop09 forwarding cooperation. These are basically owner managed, medium-sized forwarders with fleet sizes of 20-80 trucks or direct access to nominal carriers. The goal is to organise domestic and adjoining-country cargo exchange for partial and full loads at a high level of transport. Simultaneous wide-coverage transfer facilities with highly varied equipment. Restructuring of the staff in the team which in September 2008 is expanded again with another dispatcher and now has six full-time, two part-time and one apprentice working in the pure shipping area. Sudden death of the co-partner Helmut Schulte; at nearly the same time one of the yearlong employees leaves for health reasons and in the following year a yearlong dispatcher goes into retirement. An additional dispatcher and a dispatching assistant are employed. Establishment of a transshipment store in an industrial area a few kilometres away with excellent highway connections. One very special event in the history of ALS was transporting the BVB World Cup to Berlin. The Federal Chancellor at that time, Gerhard Schröder, took delivery of it for a state visit. In the coming years, expansion of the ALS team with apprentices and part-time workers. Relocation to a larger office building with now approx. 180 sq m floor space. The ALS team is expanded by employing another dispatcher and a sales representative. An additional two offices are rented in the same commercial building. ALS invests in training young forwarder talent and employs apprentices. Expansion of the domestic traffic after the opening of the border in all aspects with the speciality of specifically transporting "sensitive and fixed deadline goods". Founding of A.L.S.-Spedition GmbH by the forwarding agents Helmut Schulte and Christoph Dahlmann, who had previously managed the international shippers Hermann Ludwig GmbH, Hamburg together. Start with a total of 4 employees. Objective: European surface transport and global overseas traffic along with domestic German traffic towards north Germany with links to the sea ports.